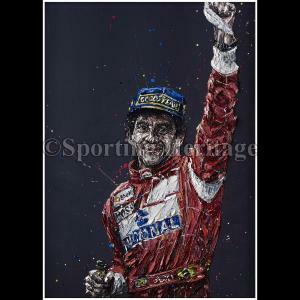 Hand embellished Limited Edition canvas from an original by esteemed artist, Paul Oz. 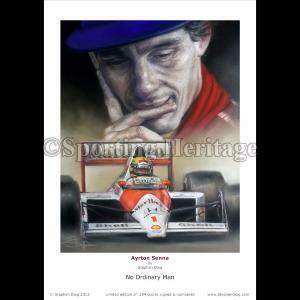 A limited edition of 100, measuring approximately 80cm x 75cm. 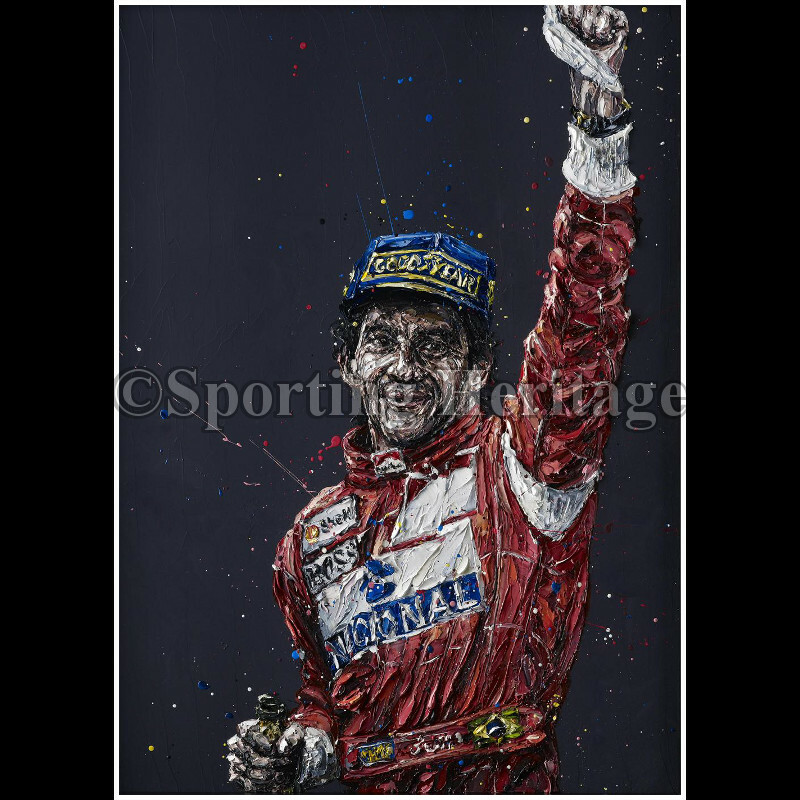 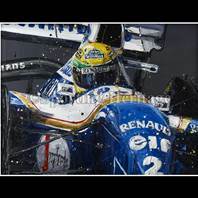 Depicting Ayrton’s last win in Monaco, and with the reference image chosen personally by Bianca Senna, this 20th anniversary commemorative piece was commissioned by Instituto Ayrton Senna.